who nests in Kits? you? if so, please add your comment about what it’s like for you. Have you lived in Kits before but flown the nest for parts that are more affordable? Are you feathering your nest here – possibly a smaller nest than you once had? this neighbourhood is home to many yuppies, young families and students as well as yoga studios, organic markets, cafes and Vancouver’s Greektown. I was visiting Kits Point yesterday on my way home from work and noticed all of the stumps that are providing nests to various seeds and plants. The stumps range from short (12″ or so) to tall (12′ plus) – if a stump can be 12 feet or more. If a stump is a tree that is no longer growing, there appear to be several very large stumps there. The diameters range from 3′ plus to about 12″ I believe. Some plants are growing in the well in the top, others in various crevices. Rather magical – I can picture a Hallowe’en event there. What would you want to do with, for and on these stumps? 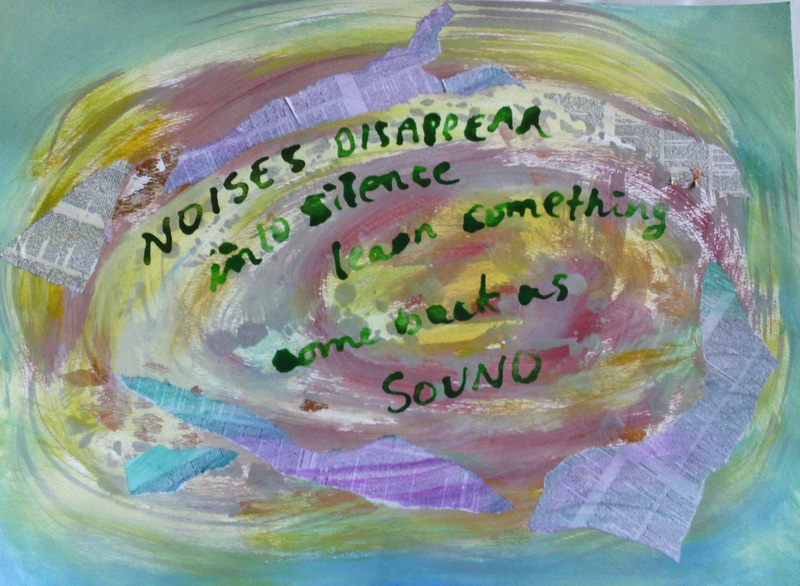 My friend Keith and I have been incubating a collaboration for literally years – his words my visuals. This idea grew out of my Corvid Speaks piece. 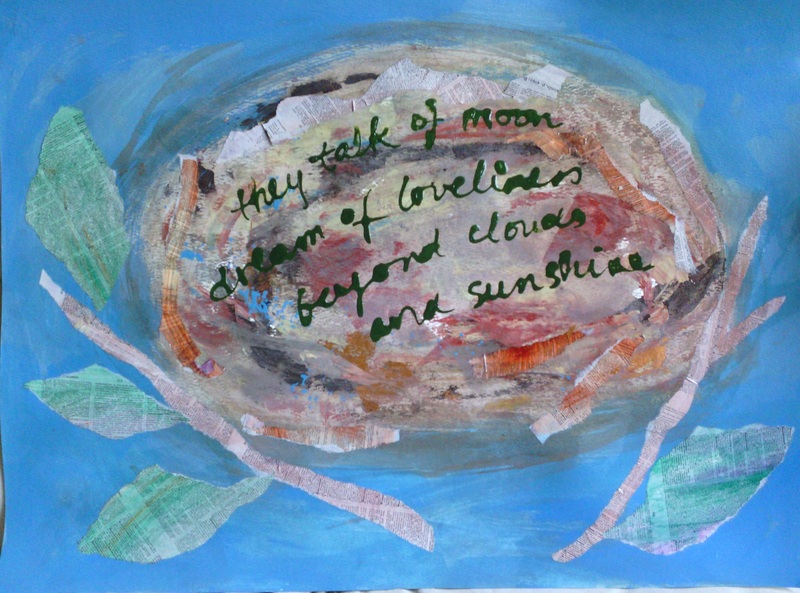 I consider these two “sketches” – playing with nests made partly from collaged dictionary pages and then writing on in acrylic ink Keith’s haiku. Choice of haiku’s started like this: He sent me about 200 (!) I selected 10 and as requested sent them to him in case he wanted to tweak or edit. (He didn’t). Now I’m working on some watercolour “starts” I made during a mixed-media demo I did for Burnaby Artists Guild. Haven’t quite figured out how you sign this kind of art. More later. These aren’t done, but I felt a need to share.